"He breaks the power of canceled sin, he sets the prisoner free. His blood can make the foulest clean; His blood availed for me." One of my favorite parts of this morning's sermon . . .
"'He will wipe every tear from their eyes. There will be no more death' or mourning or crying or pain, for the old order of things has passed away." He who was seated on the throne said, "I am making everything new!" (Revelation 21:4-5). “I am making everything new!” The old is gone. It’s gone! No more. Everything is going to be new. A creative blending of the lyrics of two beautiful songs . . .
All Rise by Babbie Mason is a powerful song with a beautiful Easter message. I was privileged to hear her sing this at a music conference several years ago, and we were all on our feet in praise to the Risen King. A powerful message for any time, but especially Easter . 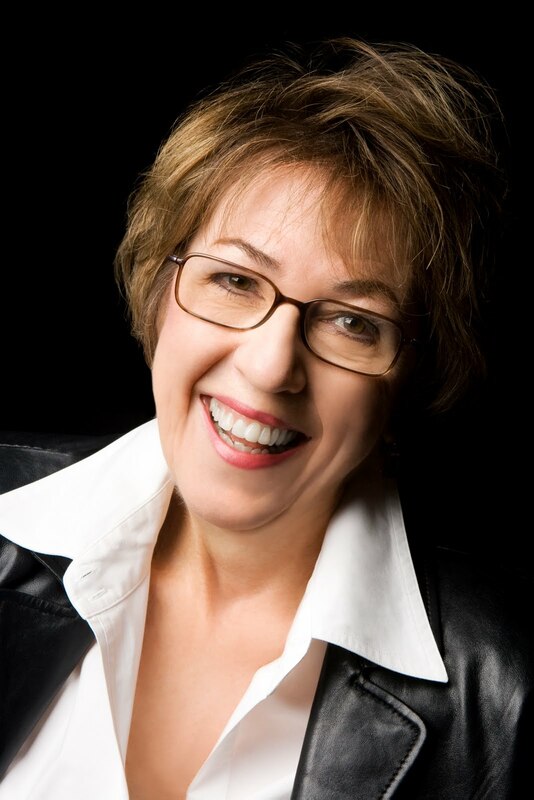 . .
Christian fiction novelist, Julie Lessman, shares these thoughts from her heart . . .
Ah, new beginnings! The first day of a year, the first day of school, the first time you wear new clothes, the first page of a book, the first time you say “I love you,” the first time you hold your newborn in your arms—new beginnings, all, offering a future and a hope. There is nothing quite like that feeling of new, fresh, clean, the idea of starting over to get it right. Only we never quite “get it right” as human beings, do we? Oh, sometimes we do, sure, but unfortunately, sin is inherent for everyone who draws air, which is why for me, Easter is the most important day of the year. A new beginning, a fresh start, a do-over where the precious blood of Jesus washes me clean and lets me start over, reminding me once again that His mercies are “new” every morning and His love never ceases. A future and a hope—Easter in a eggshell, if you will. And yet, there have been too many times when my focus has been on dying eggs instead of a dying Savior Who gave His all so I could have a new beginning—not just every day of my life, but in the next as well. So this Easter, I plan to focus on just how very important this day is to each and every one of us. Because without Easter—the death and resurrection of our Savior—there would be no fresh starts, no do-overs, no future and no hope. I wish you and yours a MOST blessed Easter and fresh start with the Lover of your Soul! A conversation with Allison Pittman is included at the end of For Time & Eternity and I wanted to follow up my review with most, if not all, of that conversation. For those who have read or plan to read this book, Allison gives some good background and insight. I knew I wanted to write a love story, but not a romance. The character of Nathan came to me fully formed - this deeply passionate, wounded, charismatic, charming man. Then, having grown up in Utah, I knew that Christianity played almost no role in the early history of the state, so I needed Camilla to be a woman seduced away from not only her family, but also her Lord. In fact, I saw the understanding and worship of God as being almost a third element in a love triangle. I wanted Nathan and Camilla to love each other as much as they loved God. You seem to know a lot about the Mormon faith and community. How did you research this story? I lived in Utah as a child, and my husband is an excommunicated Mormon who came to know Jesus as his Savior when he was in high school, so I had a lot of anecdotal experiences to pull from. But to get a real feel for the history, I spent some time in Salt Lake City. The Pioneer Women's Museum there is a treasure trove of artifacts, all the little household trinkets that made up a woman's life. The blue lamp is just one of the artifacts I fell in love with - that and the crazy jug that will appear in the next book. I think what really struck me - and this is something I've shared and confirmed with other Christians - is the spirit of Temple Square in Salt Lake City. The city is beautiful and meticulously maintained, but there is an oppressive air. It's quiet, but not serene. Something about that huge, white temple topped with a golden angel is unsettling. I also spent a lot of time browsing Web sites and discussion boards reading posts by ex-Mormons. They gave me a clearer understanding not so much about why people join the church, but why they stay and why they leave. It's heartbreaking, the stories of bitterness and betrayal, even more so seeing how so many leave the Mormon faith with a mistrust of God and religion in general. I wanted to capture that sense of a desperate need for love and acceptance in Nathan's character. There are many anonymous people out there who were so helpful in my efforts to capture both Nathan's fervor and Rachel's just-beneath-the-surface disdain. Why did you choose a historical setting? It's a fascinating time in our nation's history, something that doesn't get a lot of attention, especially looking into the next book, which will touch on the so-called Mormon War and the conflict between the church and the United States government. However, even though this story takes place with the first generation of the LDS church, their method of amassing converts has changed very little. Today, in these times of fractured families, the Mormon message of family values has so much appeal. In fact, that's what drew my husband's family into the church back in the mid-1970s. I took that idea and molded it to fuel Nathan's devotion to the church. I also wanted to address the idea of polygamy outside the realm of modern controversy. Plural marriage as Mormon doctrine is a historical fact - interestingly ignored in the Church History Museum but openly addressed in the Pioneer Women's Museum. I was intrigued by the idea of looking at the practice through the eyes of a first wife - not with the wide scope of examining the sociopolitical implications, but a snapshot of the powerlessness of the time. For Time and Eternity by Allison Pittman is the first book in the Sister Wives series - and one of the most gripping works of Christian fiction I have ever read. Caught up in this compelling narrative, you hardly realize you're seeing the contrast between Mormon beliefs and Christianity. Allison also exposes the heartache of a wife who must accept a sister-wife, the obsession with building families for the afterlife, and the “infallable” words of the prophet. When Camilla Deardon hears their songs coming on a breeze, they sound just like the songs in her own church. This is all she knows of the Mormons camping near her family's farm. Mama and Papa warned her to stay away, but she doesn't understand their fear, especially after meeting a young Mormon man named Nathan Fox. So handsome. So charming. His eyes hold the very image of this Zion he talks about, and his step seems a promise to take her there. Though Camilla knows she should obey her parents, she can't refuse her heart. But Nathan's promises can never prepare her for what she will face in Utah. 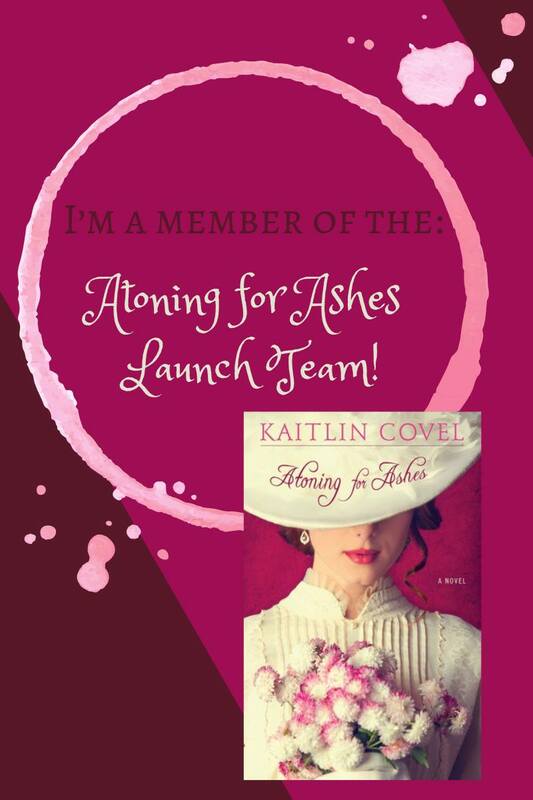 She's been willing to share her husband's faith, but can she share her marriage with another woman? This is such a good book on so many levels that I hardly know where to begin. Lyrical and emotionally-charged writing, compelling storytelling, historical accuracy - this is a story that will stay with me for a long time. Camilla's strict upbringing in a home where love wasn't freely expressed contributes to her longing for the warmth, friendship, love of family, and devout worship that the Mormon community camped out next to her home seemed to offer. And Nathan Fox captures her heart almost from their first meeting. "Sure as on the day I was born when I could only lay helpless in my mother's arms, that moment a few steps back when Nathan Fox looked into my very soul marked the first breath of a new life, and I wanted to linger in it. His eyes held the very image of Zion, and his step matched to mine seemed a promise to take me there." I think Nathan truly loved Camilla, but his desire for praise and the approval of Mormon elders was stronger. After the death of their baby son, Nathan begins to consider the taking of a second wife. Camilla reflects that "Nathan was convinced that marrying and having children was the path to celestial rewards. The more wives and children on earth, the more glorious his family in heaven. What better eternity could there be for a man who had spent his childhood unloved and alone?" Sometime later, during a Mormon service, Camilla reflects: "I saw Nathan as I never had before. My humble, pleasing, loving husband, driven by spiritual greed. What dominion did he need beyond our little home and his workshop? What exaltations besides the excited shouts of our little girls every time he entered a room?" Camilla's spiritual journey is beautifully and realistically portrayed. With Nathan gone over the summer, Camilla begins reading and studying the Bible, along with her daughters and Kimana, their Native American maid. Kimana, a most endearing character, grows in her faith in God, as well as her love for Camilla. Allison has a gift for conveying feelings and raw emotions. From the moment Camilla catches her first glimpse of the young girl who will become Nathan's second wife, until weeks after the wedding - these pages literally held me in their grip. Camilla's feelings are expressed in these thoughts after the wedding: "Over the course of this ceremony, Nathan had once and for all been displaced as the center of my life. His home would not forever be my home. His god would never be my god. I was bound to him by the law, and I still loved him, but that love was swiftly becoming something akin to nostalgia - a passion relegated to the girl I was long ago. I would live my life as a bride of Christ alone." A question and answer section with Allison is included at the end, which gives a lot of insightful information. The story is well researched, but Allison is also very familiar with the world of Mormonism because her husband left it to become a Christian in high school and she grew up in Utah, the center of Mormonism in America. She also mentions that by writing this series, she "didn't want to take on the entire Mormon faith," but rather focus on historical Mormonism in the 1850's. This book will stay with me for a long time. I'm glad Allison had the vision and desire to write it, and that Tyndale House chose to publish it. I would give For Time and Eternity a rating higher than 5 stars if I could. Very highly recommended for all fiction readers. For more information, visit Allison's website at allisonpittman.com. Not a Creature Was Stirring by Jane Haddam is the first book in the long-running Gregor Demarkian holiday mystery series. 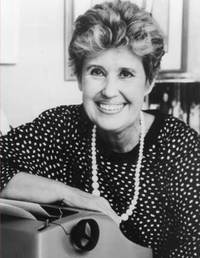 It was nominated for both an Anthony Award and the Mystery Writers of America's Edgar Award. Former FBI Agent Gregor Demarkian has returned to the Armenian neighborhood of his childhood where the lonely widower seeks the comfort of ethnic tradition. But a mysterious Christmas Eve summons to the home of multi-millionaire Robert Hannaford brings a very different kind of holiday experience. Arriving at the isolated country estate only to find his host murdered, Demarkian observes the next generation of Hannafords. From a famous author of fantasy novels to a greed-ridden money manipulator, from a scandal-plagued minor academic to a gambling-addicted DJ, the Hannaford offspring present a variegated and self-absorbed assortment of siblings who have in common only being heir to a legendary fortune. Or are they? Invited on the case in the freewheeling role of consultant, Demarkian predicts that whomever killed old Hannaford isn't through yet. When a second slaying follows the first, Demarkian looks for a motive in the twisted inheritance intrigues of a tormented dynasty. 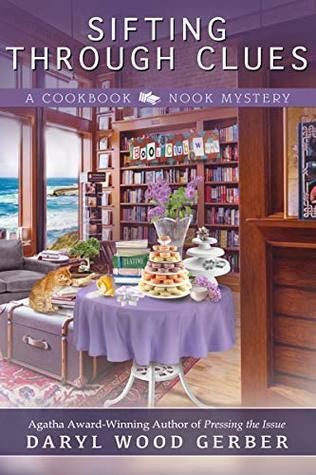 Fans of the cozy/traditional mystery genre will find much to like in Not a Creature Was Stirring, which introduces Bennis Hannaford, one of Robert Hannaford's daughters, and her dysfunctional family. Each sibling has a minor subplot, not necessarily related to the murder. In spite of not liking the Hannafords very much, I was fascinated by this Pennsylvania Main Line family. Gregor Demarkian, who is still grieving over the death of his wife, is a sympathetic and likeable character. "Socializing had never been one of his strong suits. While he'd had Elizabeth, she'd been enough. Once she was gone, he'd found it hard to connect with other people." Demarkian's neighbors in the Armenian neighborhood of Cavanaugh Street add much interest to the story. One example is 86-year-old George Tekamanian, with his lavishly decorated apartment: "George's grandson Martin had made a killing in the stock market and since George had adamantly refused to leave Cavanaugh Street for the Main Line, Martin had decided to bring the Main Line to George." Another of my favorite characters is Armenian priest, Father Tibor. George tells Demarkian: "I think this man may be a saint . . . A real one, not the plasterboard kind they like to tell us about in church." Father Tibor puts his faith into action by frequently offering shelter in his own home to the homeless: "Christ said, 'Feed the hungry, clothe the naked, shelter the homeless.' Not, 'Be sure to vote for the congressman who promises to build the most low-income housing.' If the people who called themselves Christians behaved like Christians, there wouldn't be any people sleeping on the street." The mystery is well plotted and interesting. Some sections move a little slowly, but that is because much attention is given to character development in this first volume. This novel is clean, with very little profanity. Highly recommended. I look forward to the next installment, Precious Blood. Secretly Smitten is the second romance collection written by popular authors and real life best friends Colleen Coble, Kristin Billerbeck, Diann Hunt, and Denise Hunter. These collections are built around the fictional town of Smitten, Vermont, a dying lumber community. In the first book, Smitten, a close-knit group of women business owners come up with a plan to save Smitten: capitalize on its name and turn it into a romantic tourist destination. Secretly Smitten continues this theme and introduces us to more friends and family in the charming town of Smitten. I've always found romance novellas a great way to relax, and the New England setting of Smitten, Vermont would be hard for me to pass up. The cover art beautifully pictures this quaint and charming town. Secretly Smitten focuses on the lives of the Thomas family: Grandma Rose, her daughter Anna, and Anna's three daughters - Tess, Clare and Zoe. 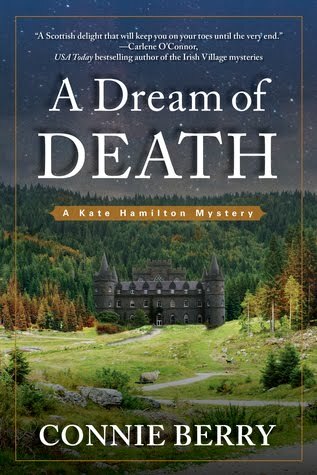 The authors did a good job with continuity in their stories, and I particularly liked how the mystery of Rose's first love, who apparently had died during the Korean war, continued throughout. I also like it when a storyline focuses on an older adult, as Diann Hunt did with Anna and Michael's romance. An interesting twist that I enjoyed in this story is that Anna, owner of a knitting shop, invests in a few sheep so she can offer a spinning class. Each novella reached a satisfying conclusion, but they felt a little unfinished. Novellas are limited in length, so this could be expected. I hope the next book gives a little more follow up, though. For those, like me, who have not read the previous book, this book works well as a stand-alone collection. Previous characters are only mentioned in passing. 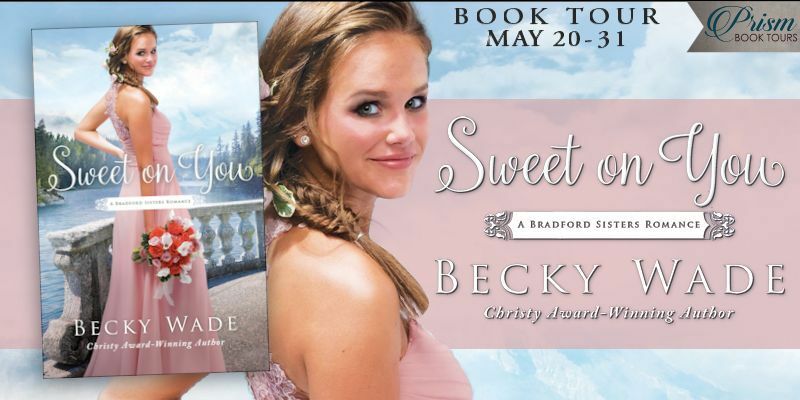 Secretly Smitten is a cute, light and enjoyable read. I would recommend this book to all who enjoy light romance collections with a small-town feel. The third book in this series, Return to Smitten, is scheduled to release in January 2014. 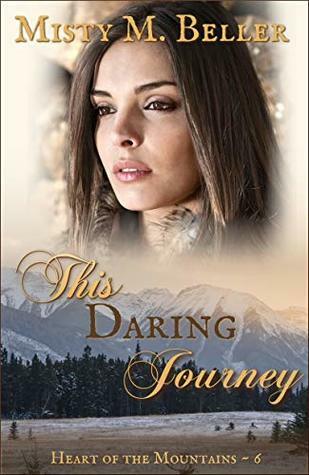 Karen Young is a popular suspense writer and this is her first inspirational romance, released by Howard Publishing in 2009. Seven years ago, tragedy ended the troubled marriage of Camille and Jack Vermillion. Now, as head of the Truth Project, her life safe and orderly, she focuses her lawyerly skills on freeing wrongly incarcerated individuals on death row. Jack paid a bitter price for his mistakes. No longer a high-powered corporate attorney, he's now pastor of a small church in Blood Bayou. Unsure of her own beliefs, Camille is highly skeptical of the conversion of this man she hasn't seen in seven years. Then tragedy strikes again. Jack's sister is murdered, apparently by a prisoner Camille has set free. To prove his innocence, Camille must return to Blood Bayou. But that means facing the hostility of the town -- and Jack. I usually like traditional mysteries rather than suspense, but I was drawn to this book because it was Christian fiction written by a successful author in the ABA market. 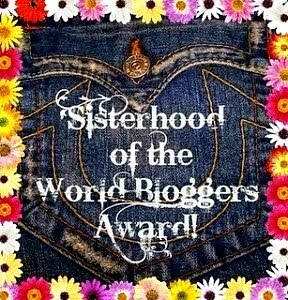 While not a flawless book, I thoroughly enjoyed it and would like to read more by Karen Young. The cover art accurately depicts what you will find inside. Karen does an excellent job at creating a sense of place in the bayou areas around New Orleans. When asked how Blood Bayou got its name, Camille's mother offers several ideas: "Sometimes, at just the right moment, when the moss-draped branches of the trees along the edge are shot through with setting sun, some say the water seems to turn an eerie blood red. . . . Cajun legend has it that it's the bloody stain of a curse stemming from the desecration of the bayou by big oil and greedy folk. Most say it is simply an optical illusion. . . . On the other hand, scientists claim it's a mix of algae, heat, and swamp gases." Karen weaves an interesting plot and creates two likeable, but flawed characters in Jack and Camille. Themes of alcohol addiction, guilt, forgiveness and redemption in Christ are woven throughout the story, but not in an overpowering way. The messages of forgiveness and redemption added depth to the story. Jack's faith seemed real to me an I really liked his character. The mystery kept me turning the pages, not wanting to put the book down. I suspected who the murderer was long before the conclusion, but this did not detract from my enjoyment. For me, it's more about the author's writing style, character development, and how the story unfolds. This is a great novel for those who enjoy inspirational romantic suspense. Highly recommended. I felt the need for glasses in my junior year of high school when I ran headlong into a steel beam and promised it a Coke date at Gallahers after the sixth period. From then on, things went from bad to worse . . . I called my mother a "flirt" when she took my arm at street crossings . . . I gave my class ring to a bust of Caesar . . . I couldn't tell a traffic light from a nose in an Alka-Seltzer ad. That's why I took the advice of . . . oh, what was her name . . . small matter, this creature suggested an optometrist. "Hello, Doctor," I said, extending my hand to a pair of bookends. "Come in, come in," He boomed. "Now, young lady, I'm going to have you read this chart on the wall for me . . . just the top line now . . . no, no, come back from the wall and sit in this chair. Now, just the top line." I pondered. "Does it say, 'Soft Music-Party Neat-Gal by Side-Burma Shave'?" "Or how about, 'I didn't know I was in love with you, til I heard you had a way with the Bureau of Internal Revenue'?" "Really, my dear . . . I'm afraid you can't see that far . . ."
"Maybe it's 'Tippecanoe and Tyler too'." "No, no, let's go on with the examination. Answer me this. Is the purple circle with the red dots slanted at a left thirty degree angle above the pink square with the green dragon print, or is the purple circle with the red dots to the lower right with a forty-five degree slant below the pink square with the green dragon print?" I ran to the washroom and shut the door. The doctor spoke softly. "Come now, my dear. This is merely an examination. I didn't mean to frighten you with my questions. All you have to do is think about them and answer me in a straightforward manner. Come out now, dear . . ."
I groped my way to the door and peered through a thin crack. I could give it a try just once more. I sat in the big leather chair. He placed an instrument in my eye and we sat facing each other, like we had a cardboard between us. "Now you just look straight ahead." I watched the doctor's eyes and there in the middle, our crossed eyes met. He blinked. I blinked right back. He blinked twice. I blinked in response. He straightened and cleared his throat. "Do I win?" I asked. Ignoring me, he continued. "Do you get headaches often?" "Well, no, not really, Doctor . . ." A voice came from the opposite corner, "Yes, Doctor, quite often." I became indignant. "I don't know who you are, but would mind waiting for your bus at the bus stop . . ." The doctor interrupted. "Please, Miss, you're talking to your father." I reddened. "I think we're going to be all right. Here, try on these three-inch lenses that magnetize things 3,000 times its size. What do you see?" "Foolish child. Now what kind of frames do you think suitable? Here, take your pick from this selection of two. Here is the 'So Long Youth" model and the 'Mother, Look Again, It's Your Baby' style." I chose the latter. "There now," he said, adjusting them behind my ears, "you can see the world as it really is." I saw . . . Father didn't look like Gregory Peck anymore, I hadn't really passed my mid-terms at all, that bus driver that I was mad for had a wart on his chin, dresses had gotten longer, and I was miserable. 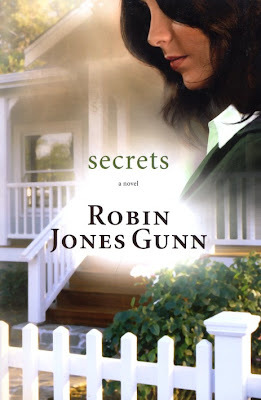 Secrets by Robin Jones Gunn, book one in the Glenbrooke series, is actually the first novel that Robin wrote for adults. Readers will enjoy the small-town setting, interesting characters, and strong spiritual themes. Jessica Morgan wants desperately to forget the past and begin a new life. She chooses a small, peaceful town tucked away in Oregon’s Willamette Valley as the place to start over—Glenbrooke. Once there, Jessica conceals her identity from the intriguing personalities she meets—including the compassionate paramedic who desires to protect her and the jealous woman who wants nothing more than to destroy her. This heartwarming bestseller, book one in the Glenbrooke series, introduces the fascinating people of Glenbrooke in a compelling tale of romance and spiritual truth. Secrets is a fairly light, predictable novel that is easily read, but I enjoyed it. Jessica, hoping to escape her past, moves to the small town of Glenbrooke, Oregon, and begins teaching school. Kyle, a paramedic who rescues Jessica from an accident, is instantly attracted to her. Both have secrets of their own, and one incident after another proves that hiding can be difficult. Frustrated at the barriers Jessica keeps putting up, Kyle confronts Jessica about her secrets: "The longer you carry them, the heavier they become." Robin did a good job of visualizing Jessica's struggles, especially during those early weeks - struggles with a jealous principal and having to seek creative ways to find food to eat. I had a hard time connecting with Jessica's character, however. Her "secret" was different from what I expected, and I wish she had been more open with her friends from the beginning. I enjoyed several characters in Secrets and hope to see more of them in future books. In addition to Kyle, one of my favorite characters was Teri, a fellow teacher. Kyle and Teri were strong Christians, loved to work with teens, and were eager to share their faith. The scene depicting the completion of a church building in Mexico was a highlight to me. Teens and sponsors joined with Mexican Christians in an inspiring worship service to dedicate the building. Leaders held the Bible over their heads, symbolizing their desire to be under God's authority. Secrets successfully conveys the messages of placing one's trust in God, investing in the lives of teenagers, and also the need for relationships. 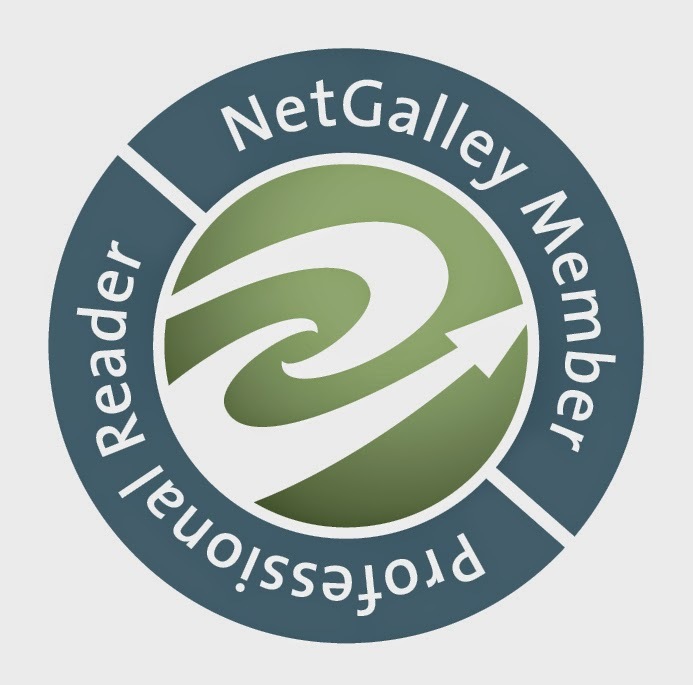 Recommended for those who enjoy contemporary Christian fiction. Thank you to WaterBrook Multnomah Publishing and the Blogging for Books program for providing my copy of Secrets in exchange for my honest review.